Thanksgiving is long over here in Canada (we celebrate in October), so I went with a Christmas theme and pulled out some un-inked Stampin' Up stamps and coloured them with Copics. Oh my ! Such a cute card ! Ardyth...simply adorable card, love your sweet holiday mice!!! Adorable! I'm hoping to link up my card in the next few hours. 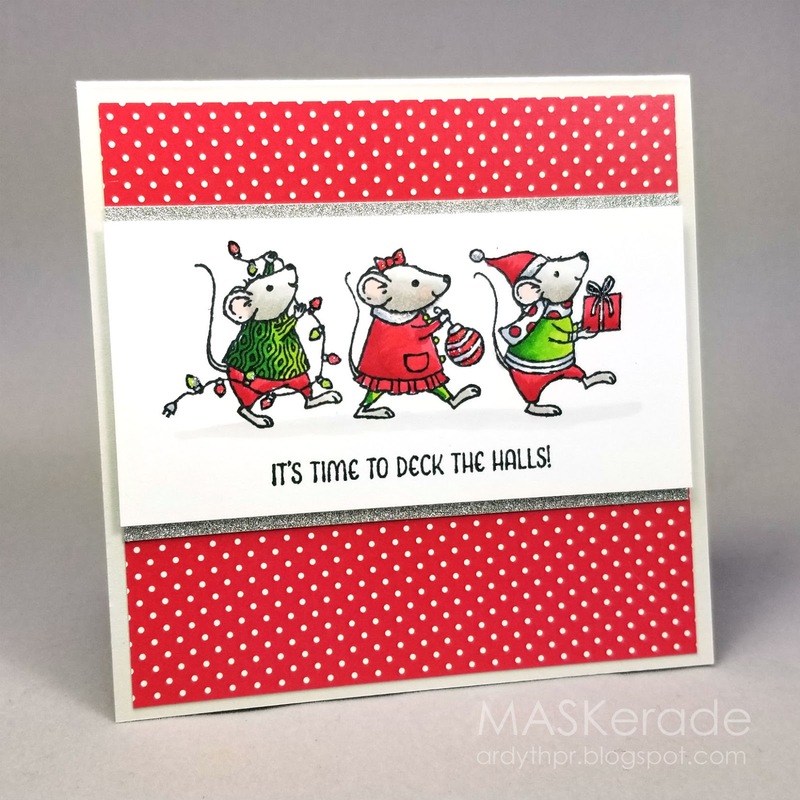 Beautiful Copic coloring and I love your red and white polka dots! Adorable and perfectly festive, Ardyth!